Your Emergency Dentist in Framingham Says Treat Trauma Now! If you find yourself in a dental emergency, is it really necessary to respond immediately, or is that merely a form of overreacting? Your emergency dentist in Framingham says there are some basic steps you should follow for any form of dental trauma to provide the best opportunity for recovery. Learn three reasons why you shouldn’t wait to receive treatment in cases of dental emergencies. A dental emergency is any situation that causes a sudden change in your oral health that either leaves you bleeding significantly, in severe pain or has caused a tooth to dislodge. If you find yourself suffering from dental trauma, the first step is to assess the situation so you can have an understanding of what is going on. Then, you should reach out to your emergency dentist’s office to let a staff member know what has happened. Next, you’ll be told how to proceed. By being proactive, you’ll be able to receive the care you need before the problem gets worse. 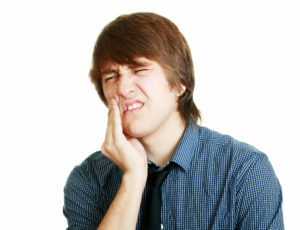 One of the more common dental emergencies is a toothache, which is usually the result of ongoing bacteria growth. If left untreated, the decay will eventually destroy the tooth. By receiving treatment in a timely manner, though, there is a better chance of salvaging the tooth and preventing the need for an extraction. If you suddenly have a tooth dislodged, there will usually be some initial pain. However, waiting to replace the tooth can lead to even more serious discomfort down the road. One reason this can happen is that the nerve can be left exposed, which renders it vulnerable to being irritated by simple functions like eating or drinking. Whether you have a tooth dislodged or a severe toothache, failing to have it treated in an expeditious manner can contribute to the continued growth of bacteria. If not addressed, the latter can work their way beneath the gumline, which can lead to gum disease, a condition that over 85% of adult Americans suffer from. With the help of your dentist in Framingham, your dental emergency doesn’t have to be a permanent situation. Soon you can have your oral health restored to normal. Dr. Adelina Duka earned her DMD degree from Boston University Goldman School of Dental Medicine and her DDS degree from the University of Medicine and Pharmacy “Carol Davila” Bucharest. An instructor and author of several peer-reviewed papers, she combines her vast knowledge and educational background to help patients recover from dental emergencies at Framingham Family Dental Care. Dr. Duka can be reached for more information through her website. Comments Off on Your Emergency Dentist in Framingham Says Treat Trauma Now!